Browse Ashdown | Musical Instruments | GAK. Ashdown make bass amps to suit all situations. Whether you need bass amp for practice and small gigs or a fully-loaded touring rig it's available through Ashdown. Their signature VU can be seen the world over on all sizes of stage. Uses 3x 10in custom Ashdown drivers as well as a set of high frequency horns to deliver loud, focussed and gut rumbling cabinet. Limited Edition 20th Anniversary tweed head combining classic tube power and tone with Ashdown's innovative design, build quality and reliability. (B-Stock) Grade box opened, Tolex on bottom of cab has started to come away, Cab is in otherwise very good and fully operational condition. Hand built in the UK, The 20th Anniversary ABM-600 EVO-IV is built on the foundations of Ashdown’s latest evolution of its leading ABM range. 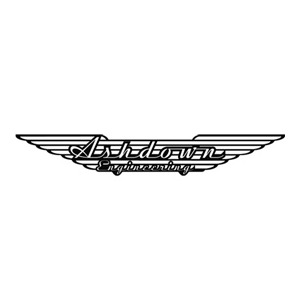 Lightweight, portable and stripped back bass amp head takes Ashdown back to the Origin of their Tone. Powerful 500 watt bass combo, loaded with a twin Ashdown White Line 10in speakers. Easy access to great reverb tones for your bass. The Origin beautifully shapes the bass player’s clean signal.